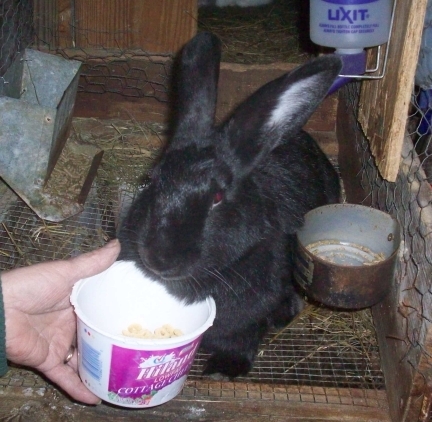 Here are some photos of what we saw last time we got to visit my mom at the farm. 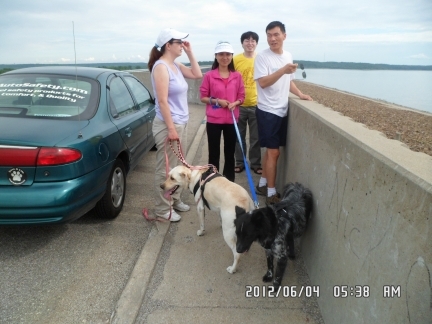 And further down are some photos of Maya and Pierson with Sha Sha and Jinbo. 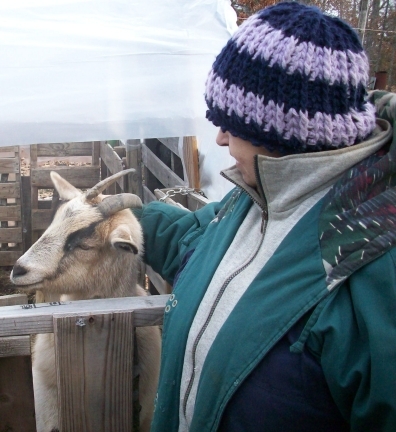 My mom petting her goat, Sandy. Sandy is such a sweetie. 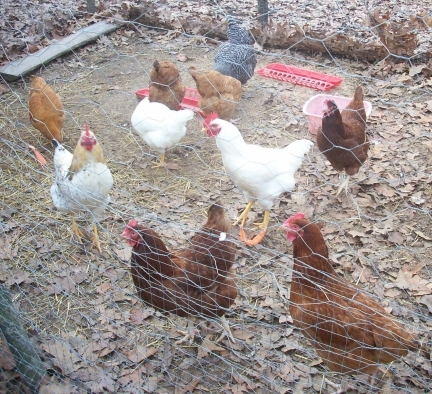 My mom’s chickens. All but three of them have names. 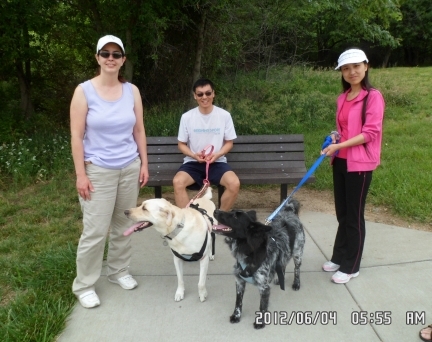 People, left to right: Me, Sha Sha, Jinbo, my husband Li Xi. We are standing on a bridge overlooking Clinton Lake. 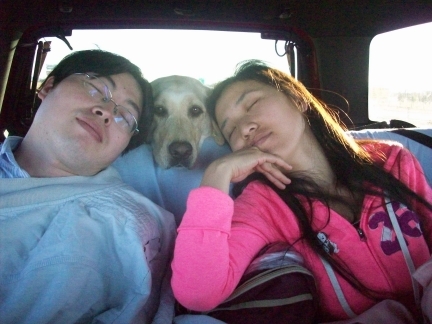 People, left to right: Me, my husband Li Xi, and our friend Sha Sha. 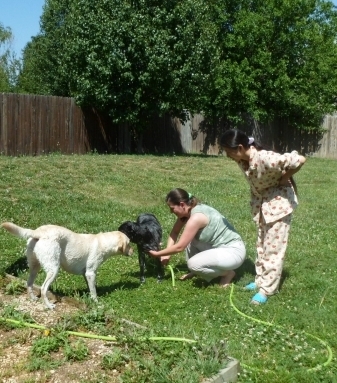 Jinbo and Sha Sha went with us to visit my family in Texas last year. This is the ride back home. 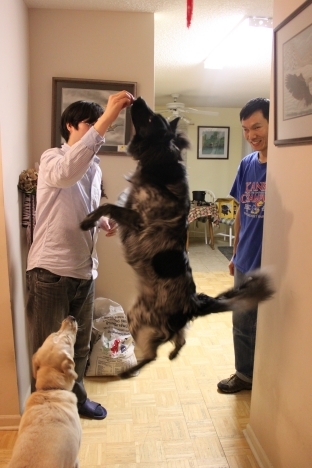 Jinbo is holding a treat in the air and having Pierson jump for it. Pierson will do almost anything for a treat. Maya wants one too! My Maya turned six at the end of this month! I can’t believe it has been six years already. In some ways, it seems I’ve had her for much longer. As I write this, I feel her warmth as she sleeps on my feet and I can’t remember a time when she wasn’t there. In other ways, it feels like time goes by way too fast. Check out these previous posts about Maya. Then scroll down to get some Maya cuteness. How I got Maya and what she means to me. How Maya got her name. 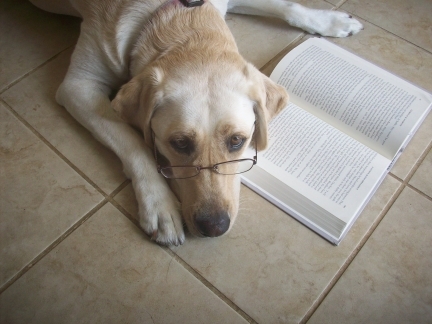 Labradors: The Happiest Dogs in the World, poem inspired by Maya. Do you know what Maya would like for her birthday? She’d love to be featured in a calendar. 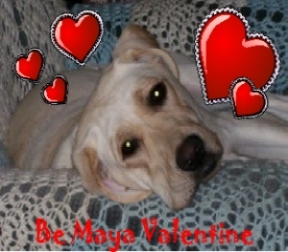 So go visit the blog, HeartLikeADog and vote for Maya. 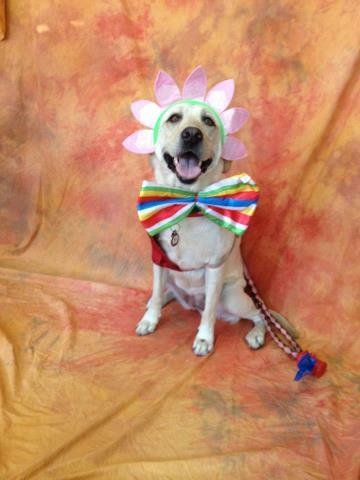 Your vote will enable her to be featured in a calendar. Thanks! How to vote? Visit the blog and scroll down to about the middle of the page where there is a list. It may be listed in alphabetical order so look for the M’s for Maya. Click the dot by Maya’s name, then scroll down a bit more and click the vote button. You can vote once per 24 hour period, so vote daily! 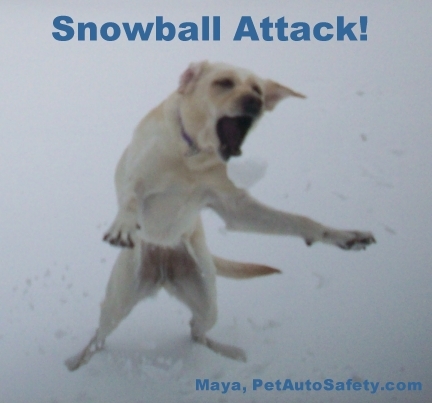 Go check out a video of her playing like a puppy this morning on our PetAutoSafetyBlog. * Disclaimer – I am not a professional groomer. I have not attended any special classes or secured any certifications for cutting dog nails. I only speak from years of experience with my own dogs. 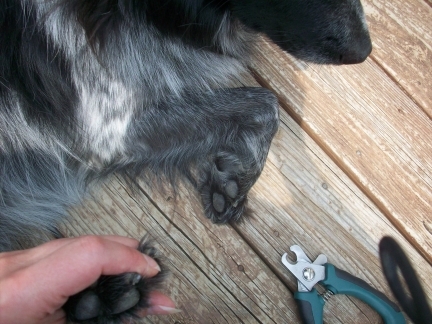 This article is only a little about where and how to cut your dog’s nails. 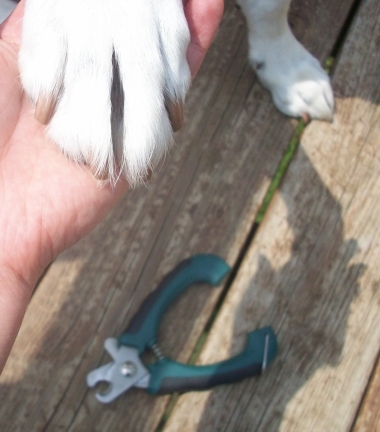 Mostly it is about how to help get both you and your dog comfortable with nail trimming. 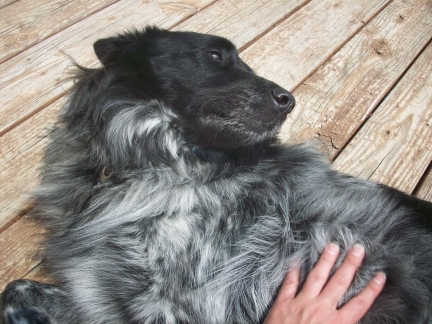 For some dogs that hate for their feet to be touched, this process can take a long time. 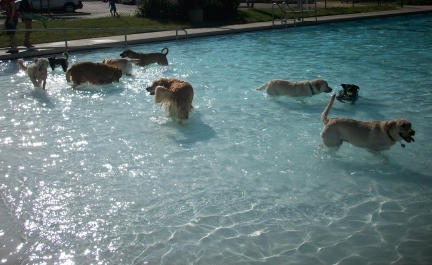 Other dogs take to it quite well. I believe it all starts out with attitude. 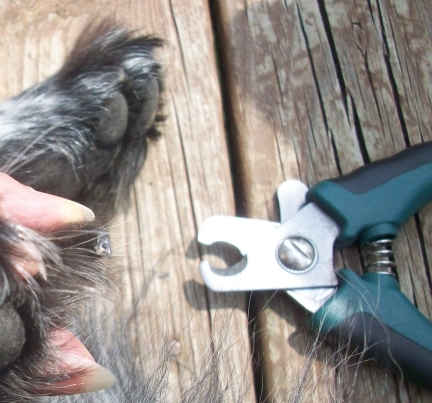 If you’re nervous about cutting your dog’s nails, your dog may be able to sense it. So do whatever you need to in order to calm yourself. Drink some chamomile tea, take some deep breaths, do a little yoga, or go for a walk or run first. Doing research on the topic helps too. By seeing how others do it can help boost your confidence that you can do it too. 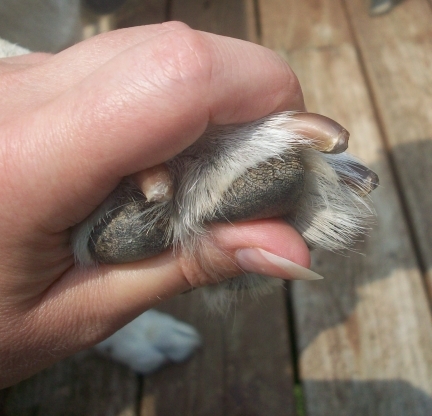 If your dog doesn’t like his feet to be touched, then help him get used to it. Put those clippers away and get out the treats and toys. 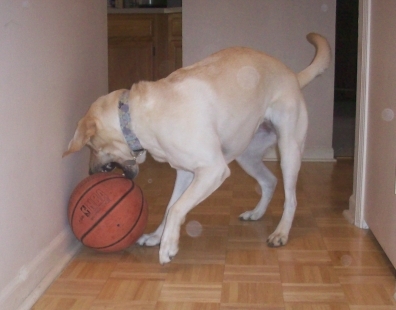 Make touching feet part of you and your dog’s playtime together. Work your way from just simply touching his feet to actually holding them. Teach him shake and reward him when he lets you hold on. 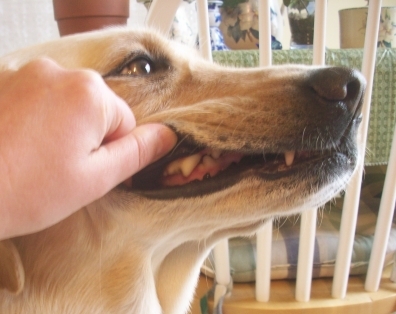 Exercise your dog before you trim his nails. Make him too tired to put up much resistance. Don’t overdo it, of course. 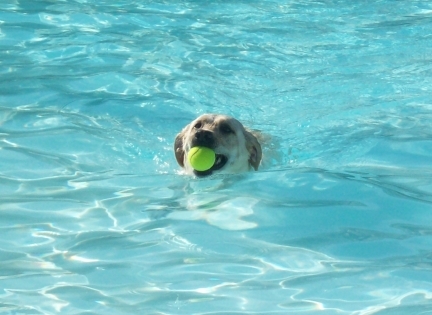 But your dog is more likely to be calm if he’s had a good run, long walk, or vigorous play session. Start out by just clipping the tips of your dog’s nails where you are absolutely certain that you won’t cut into the quick. Do this weekly. 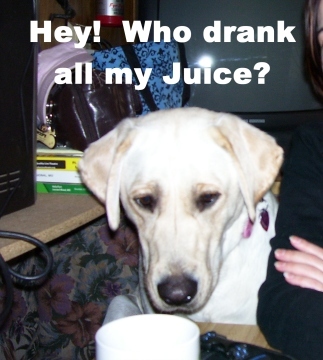 It will help boost both your confidence and your dog’s. As you get more proficient at it, you can slowly work your way up the nail. For my dogs, they do not get a cookie until I am done with all their nails. But you can start out by rewarding your dog just because he allowed you to trim one nail. Later you can move up to where he only gets rewarded for when he allows you to cut all the nails on one foot. Have a groomer or vet show you what to look for when you trim. I have some pictures here, but it really is best to see it on your own dog. For just in case the worst should happen, make sure you have some styptic on hand. Styptic is a quick and simple way to stop the bleeding. Remember, keep calm. If you freak out because you cut too short, your dog will too. And he might not be so cooperative next time. 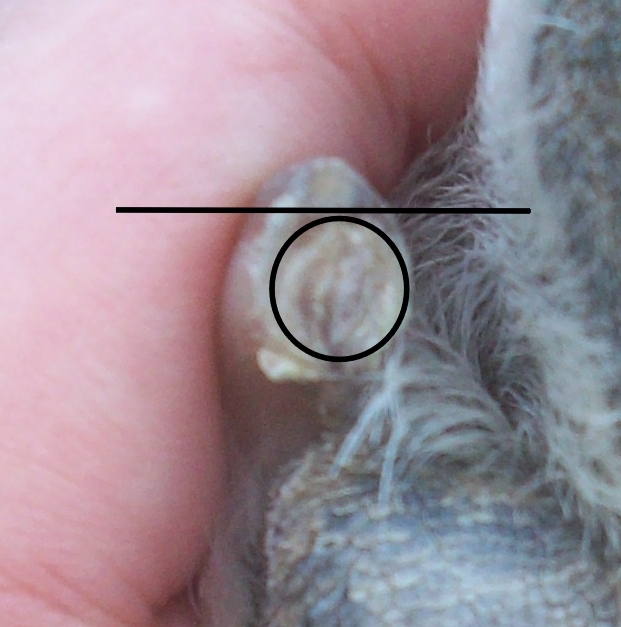 A lot of diagrams show the dog nail from the side. But I like to look under the nail. When I look under the nail, I can generally see which part is nail and which part is flesh. Take a look at Maya and Pierson’s dog nails and see if this helps. Instead of looking at the sides of my dogs’ nails, I like to look underneath. Can you tell which part is the dog’s nail and which part is flesh? Here is a closer look at Maya’s toe nail. The circled part is what I look for. This is part of the quick and I don’t want to cut that. So I cut right above it. 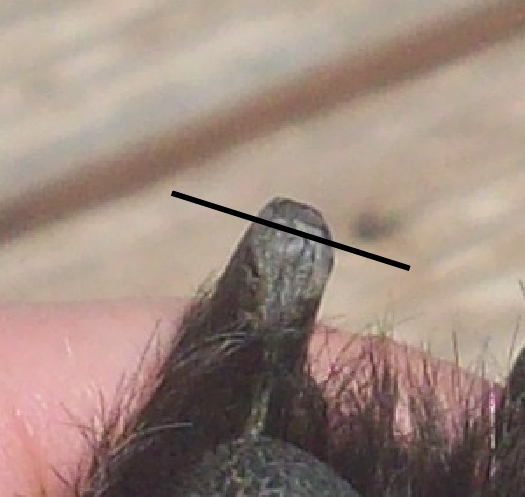 Looking under the dog nail for a dog with black toe nails is much more helpful for determining where the quick is than looking from the side. Remember, have your vet or groomer show you first. 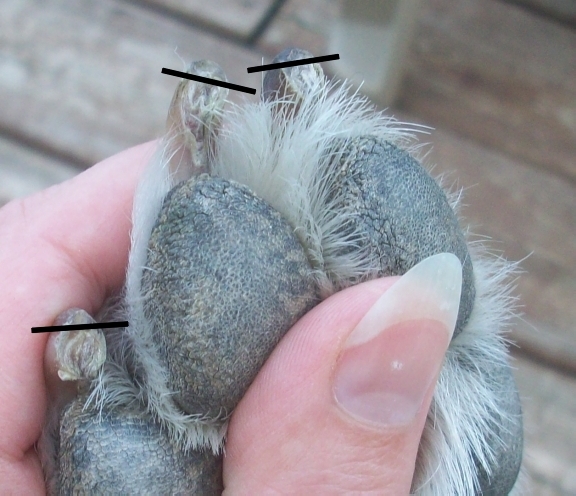 The above pictures may be helpful, but it really is a good idea to get a look at your own dog’s nails. Plus, your vet or groomer can give you direct supervised experience. 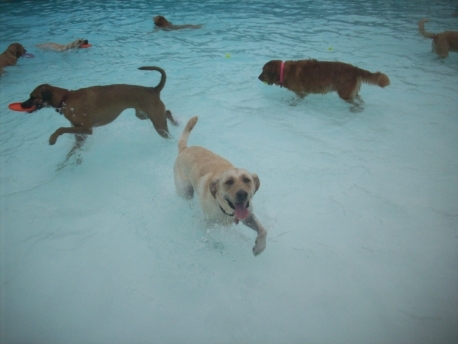 As a Labrador, there isn’t anything that doesn’t make me happy. Mud, leaves, sticks, and blades of grass all make me happy. I really enjoy going outside to play, pee, and take a crappy! 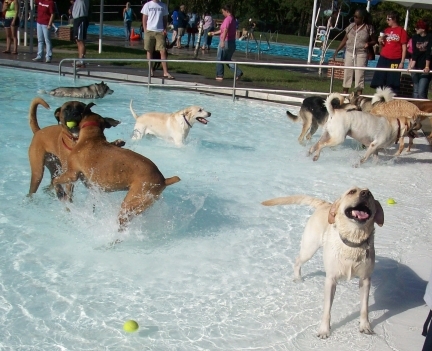 I love going to the park, playing fetch, and swimming a lappy. 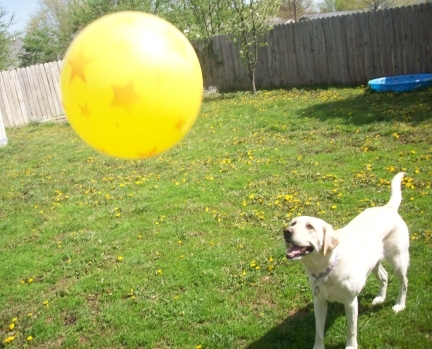 Walks, tug-of-war, fetch, and other doggy games are happy. Even baths and grooming, so long as it’s snappy. And I dream of more stuff when I take a nappy! I love my friends, my neighbors, and my mom and pappy. Vets, groomers, mailmen, and girl scouts who sell ginger snappy. Other dogs, squirrels, and even the cat I call Crabby Tabby. I even love my brother Pierson, although he’s quite yappy! Old socks, fuzzy slippers, and smelly shoes – yep, happy. To doodads, thingamajigs, doohickeys, and other contrapies. Life’s so great, I want to make my paws go clappies! OMD! This poem is so sappy! But yes, I am still happy. A happy poem, to be sure, but the writing and the rhyming is kind of crappy, don’t you think? 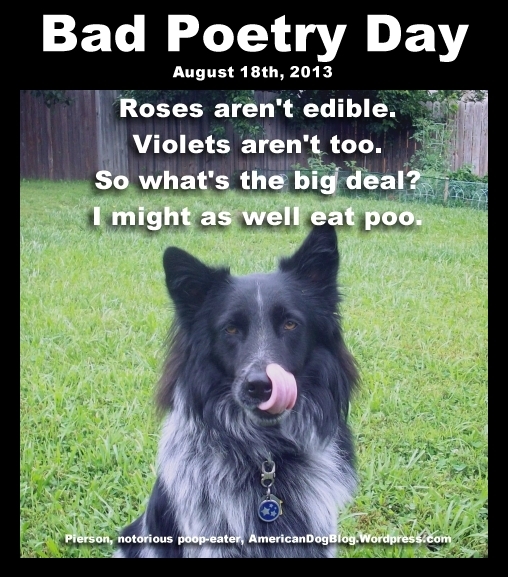 For other fun and crappy dog and cat poems, check out the blog hop link below for the Bad Poetry Day contest being held by Ku from HaikuByKu.com and Oz from OzTheTerrier.com. 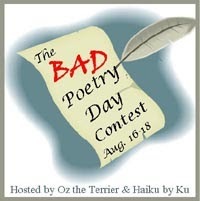 Visit Ku at HaikuByKu.com and visit Oz at OzTheTerrier.com and check out the blog hop to find other bad dog and cat poets that have entered the contest. The best part about trimming dog nails is that I get to play with these cute fuzzy paws! On Saturday I asked about trimming the long hair on Pierson’s paws. I listed what I thought were some pros and cons. After doing more research and reading your comments, I’ve decided it is not necessary to trim Pierson’s hair on his paws. I play with his feet often and have never noticed any mats or debris. I will always keep an eye out and reconsider if things change. Pierson likes to lie down while I cut his toenails. It gives him the perfect opportunity to solicit more belly rubs. Pierson’s nails are black. Since I’ve had years of practice with cutting my dog Sephi’s black toenails, cutting Pierson’s black nails is very easy for me. I have never accidentally cut Pierson’s toenails too short. Pierson is very cooperative when I cut his nails. It takes about 30 seconds or less per foot. Maya likes to sit or stand while I cut her toenails. 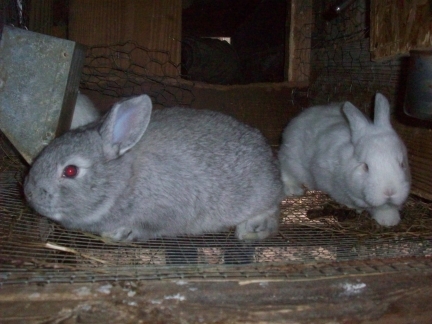 Pierson eats poop left by the wild rabbits living under our shed so I have to brush his teeth every day. 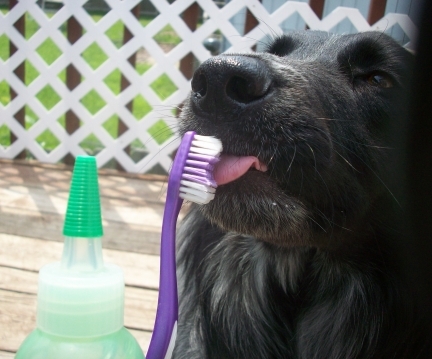 Pierson is also very good about getting his teeth brushed. He actually likes the taste of the toothpaste. Maya has great teeth. I don’t need to brush her teeth as often as I brush Pierson’s. 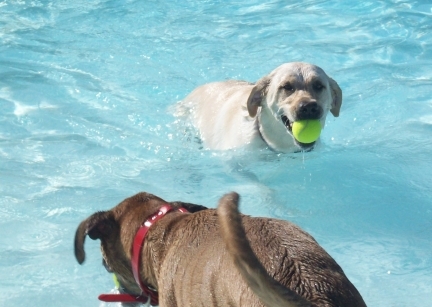 For more great pet photos, check out the link to the Wordless Wednesday blog hop below. Should the hair on these paws be trimmed? Pamela from Something Wagging mentioned on her blog how she keeps the hair on Honey’s paws trimmed so she doesn’t slip on the wooden floors. I never thought about this as a reason to trim the hair on my dog’s paws. I knew keeping them trimmed was good in winter so ice doesn’t get ice stuck between the toes. Since I kept a close eye on Pierson’s paws this past winter, I never bothered with the trimming. Now I am beginning to second guess this choice. 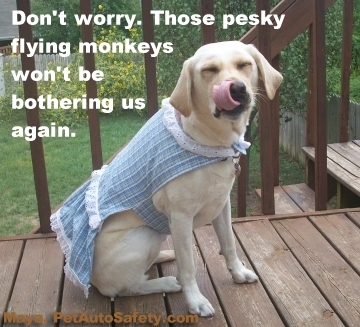 * Prevent the hair on the paws from matting and being uncomfortable. 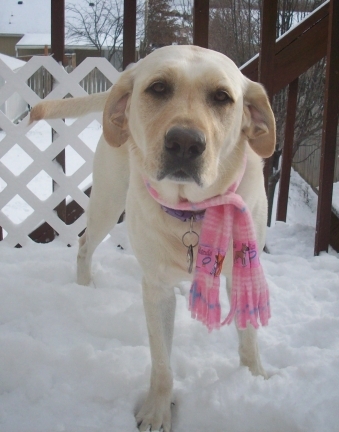 * Prevent debris from getting caught in the hair and making your dog uncomfortable. 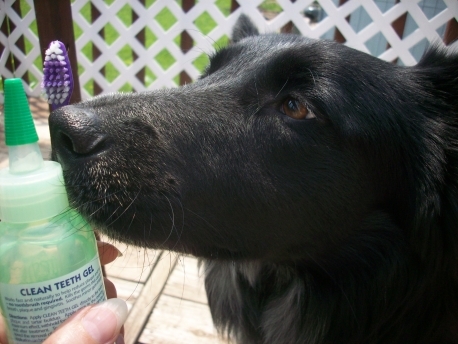 * Dogs sweat through their paws, so removing hair helps this process. 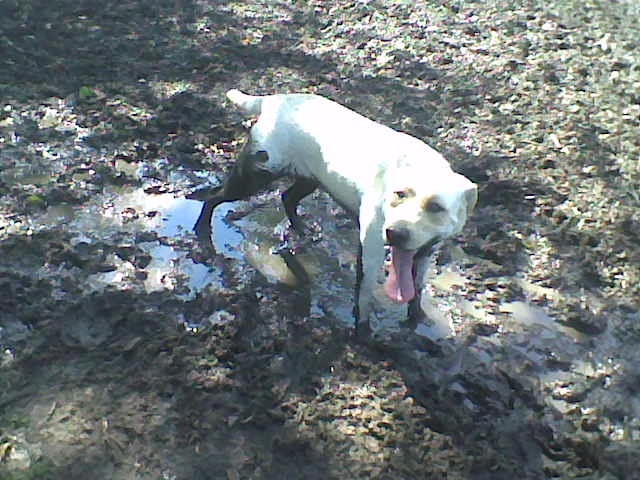 * Muddy days outside are less likely to lead to muddy paws inside. * Increase traction, such as when walking on wooden floors. A couple websites mentioned how the first two above listed items are more important if a dog spends a lot of time outdoors. 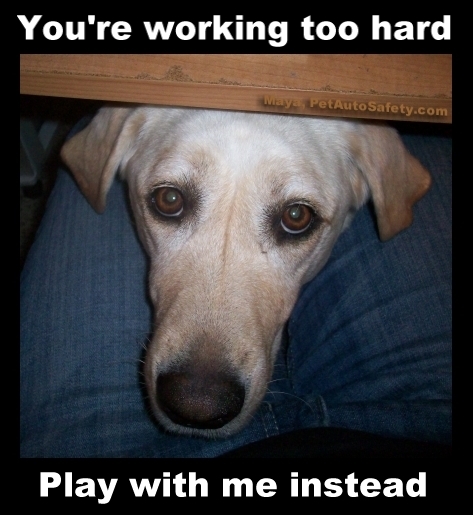 The first three reasons might not apply to a dog that is primarily indoors. However, the last two certainly do. The hair must be there for a reason, I thought. 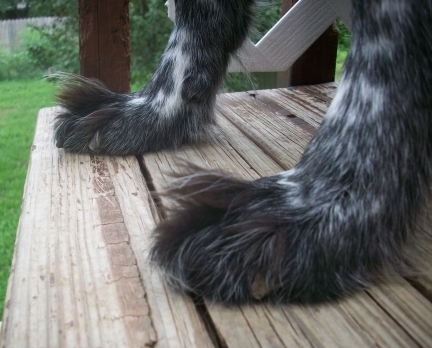 In fact, Arctic Wolves have long hair in between the toes of their paws. It helps protect them in cold weather. Obviously, Pierson is not subjected to weather that cold. He is an indoor dog. But if ice balling up in the paws was an issue, why isn’t it an issue with Arctic Wolves? The funny way the hair sticks up between Pierson’s toes makes me smile. My other reason is purely selfish. 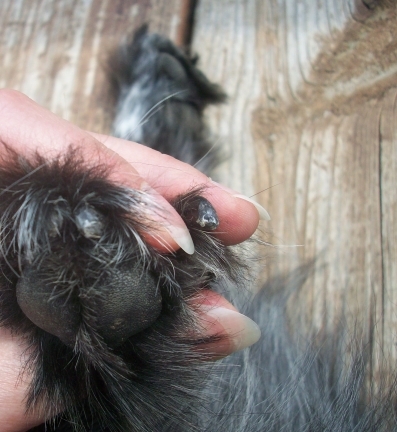 I play with my dogs’ paws all the time because they are so darned cute. And I’ve never noticed any issues with them, such as dirt or other stuff getting lodged in. 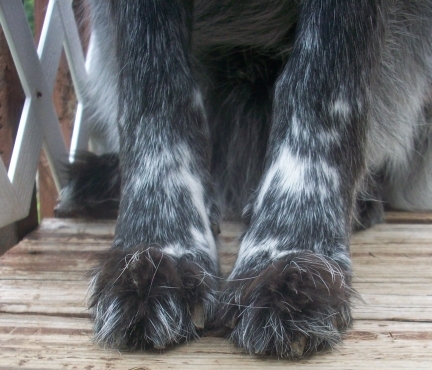 Pierson has the most adorable, fuzzy, healthy, spotted paws. Seriously, look how cute Pieson’s paw is! I’ve also wondered if perhaps the hair provides protection from walking on hot pavement. We rarely walk on hot pavement, generally only when we have to cross the street on our walks. The final reason is because the hair seems to protect Pierson’s paws from biting insects. We have a really bad chigger problem this year. Maya is getting bitten badly, especially between the toes. Apparently, chiggers like tight places. Pierson gets bit too, but not like Maya. I wonder if the excess hair protects him. So what do you think? Should I trim Pierson’s paws or do you think they are okay just the way they are? 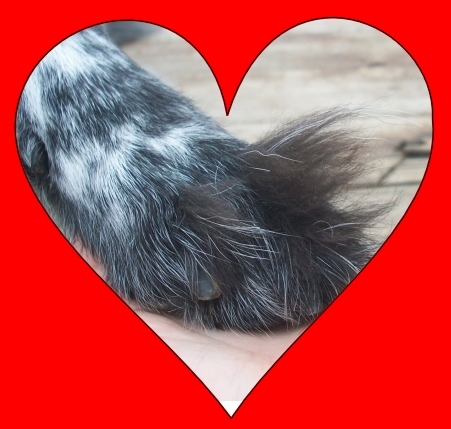 Do you trim the hair between your dog’s paws? 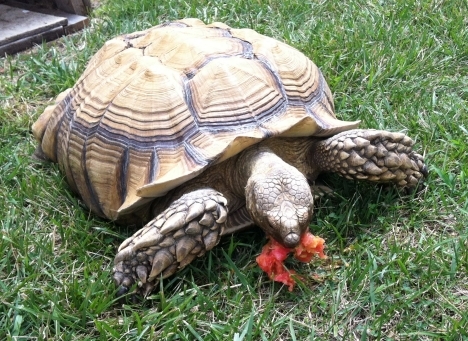 Sam is munching down on a tomato. This is Sam! Isn’t he fascinating? Not all pets have paws. 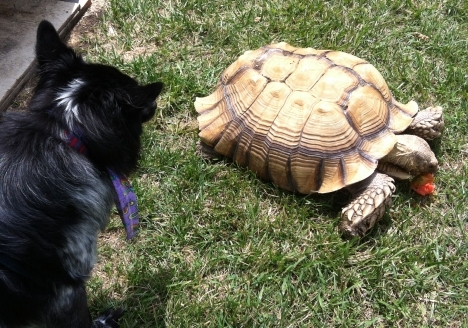 Sam is a Sulcata, also known as an African spur-thighed tortoise. When Sam was first purchased at the pet store, he was no bigger than the palm of a hand. That was seven years ago and Sam still has another 70 years or more of life and growing to go. Sam belongs to my friend and neighbor Amy and her family. 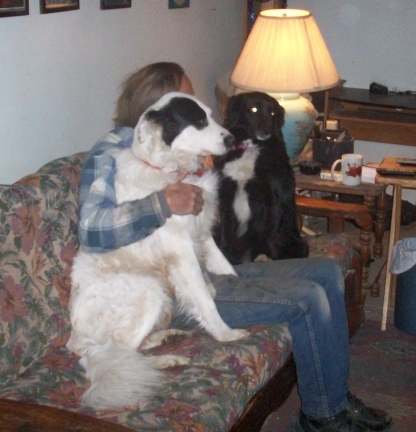 They bought Sam years ago because one of their sons is allergic to cats and dogs. Sam lived in a terrarium at first, but outgrew it some time back. In the spring, summer, and fall he lives in the back yard. 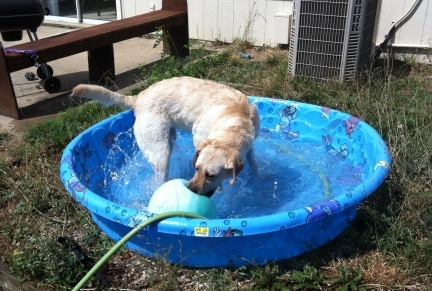 He has his own pool of water to wade in and a dog house fitted with a heating lamp. 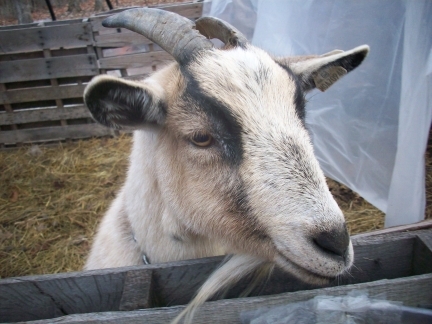 He eats grass and vegetable scraps, and is notorious for getting into the garden and steeling more vegetables. In the winter, Sam has to stay in the basement. The basement is a good size, but Sam doesn’t like it. Sam’s family wants to make a larger outdoor house for him that can be kept warm before this next winter comes. Pierson is wondering what the heck Sam is. There I go, getting carried away with words again on Wordless Wednesday. But Sam is so darned interesting! Even Pierson thought so. He wasn’t really too sure of what to think of Sam. Sam didn’t mind Pierson. After all, his relatives have to deal with lions! 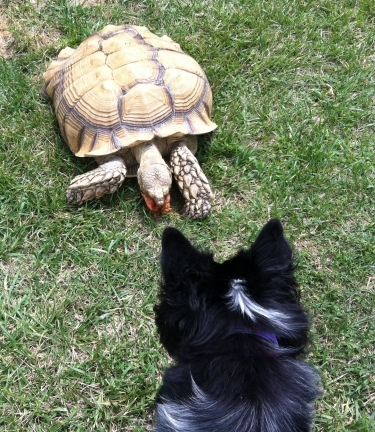 Pierson cautiously approaches Sam from the rear to get a sniff. Sam made it clear that Pierson was not to approach from the front. As you saw from the Wordless Wednesday post, my parents were in town this week. It was a great visit! My step mom made my favorite carrot cake, which is without nuts and raisins. We went shopping in downtown Lawrence. We had a barbecue. And they celebrated my 40th birthday. So, needless to say, I did not have time to prep Saturday’s post. Please forgive me. Hopefully, these two new funny dog memes will make up for the lack of wordy content. 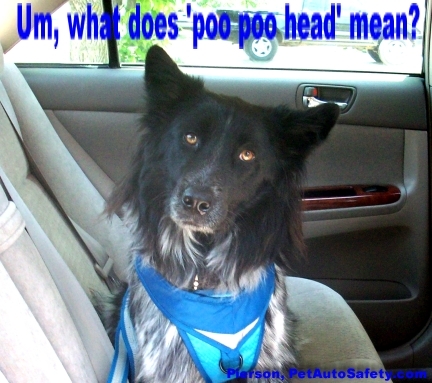 Do you call your dog funny names? Calling Pierson a poo poo head when he is naughty seems to diffuse situations that would otherwise be stressful. How can I get angry if I am saying silly things like ‘poo poo head’? Maya does this when I work to long and and she wants to play or go outside for potty.